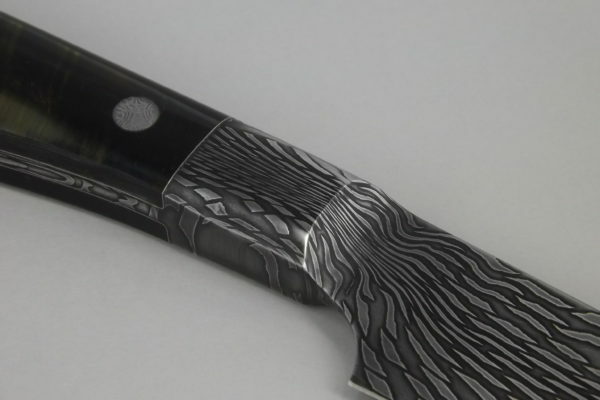 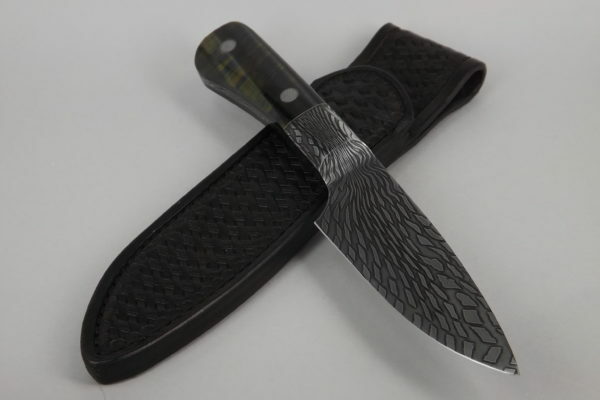 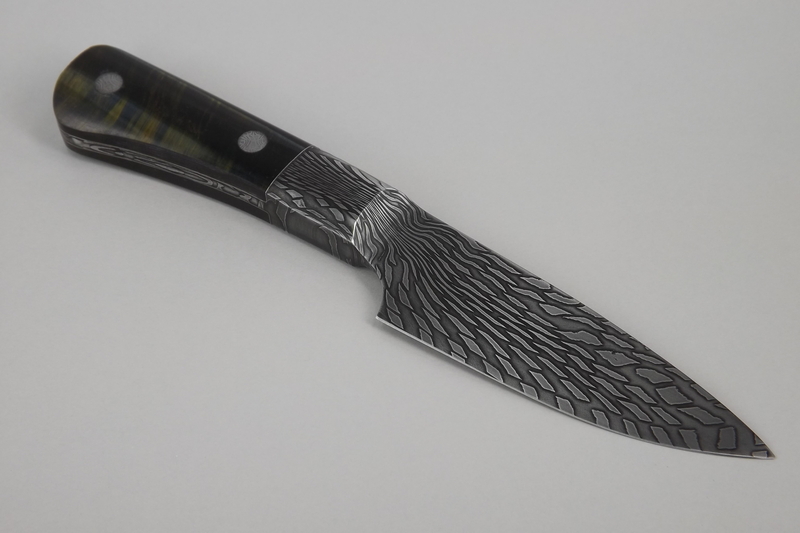 This large hunter is forged from confetti pattern Damascus made from 1075 & L6 steels. 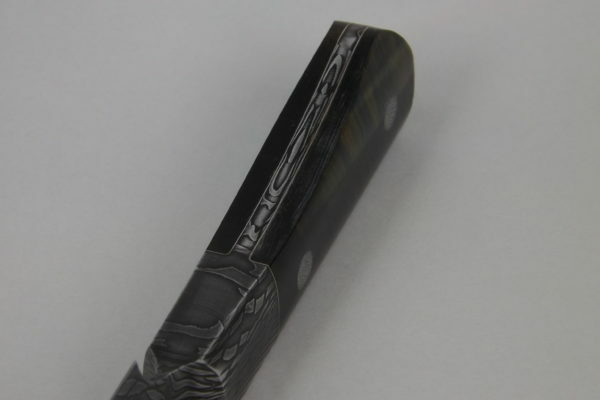 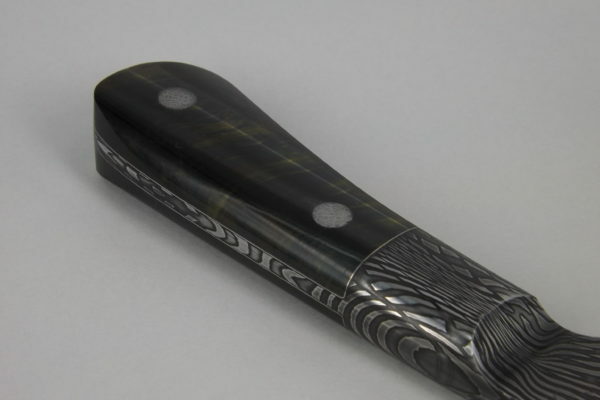 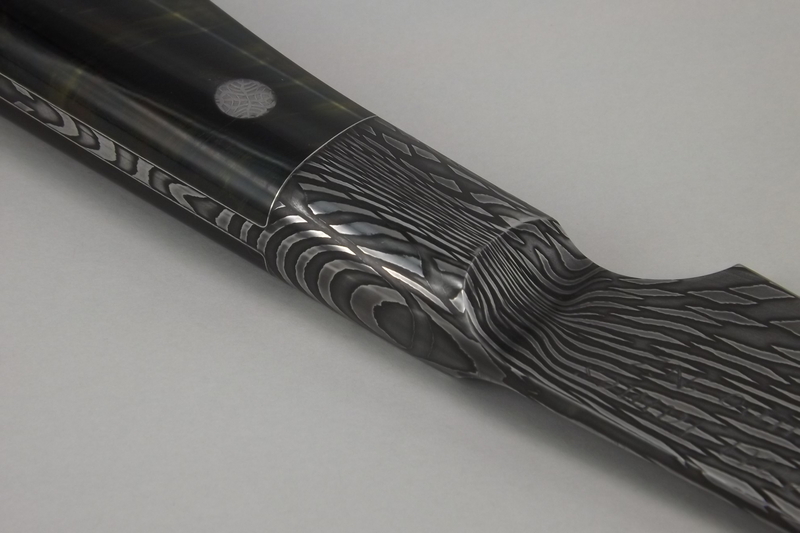 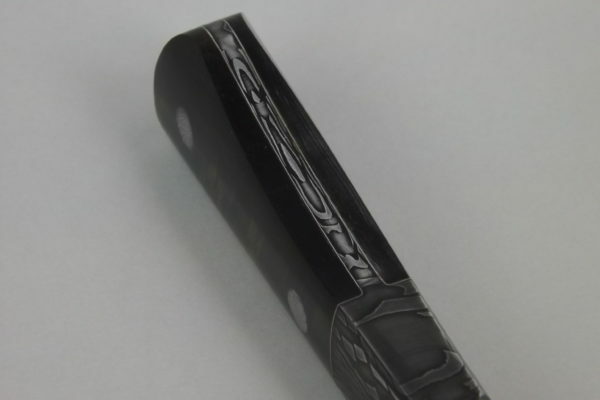 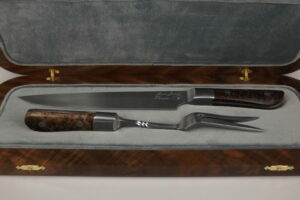 The handle material is blue tiger eye stone. 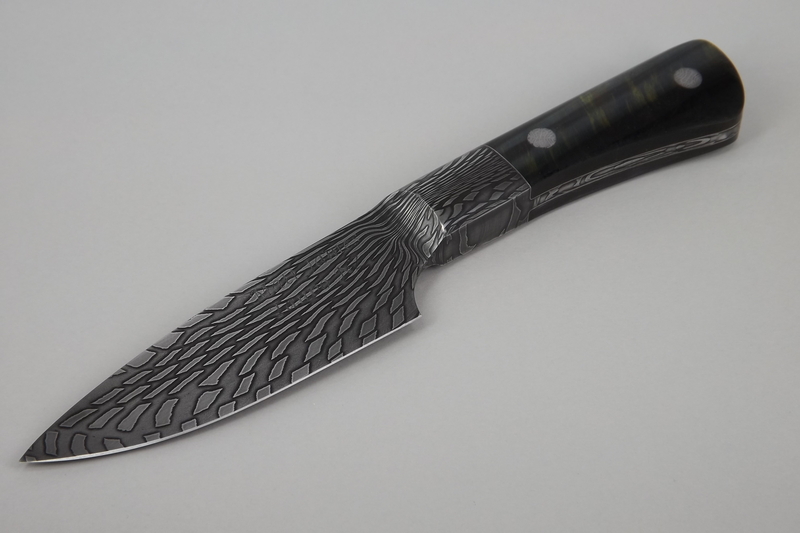 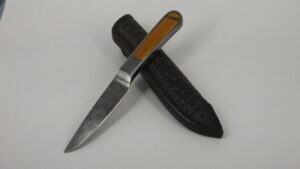 There are nickel liners between the handle and the tang of the knife. The pins are also confetti pattern Damascus. 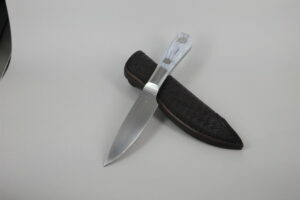 This comes with a black basket work sheath made from high quality vege tanned leather.